The LSE Community was saddened to learn of the death of Professor Ronald Dore, former LSE Sociologist and Associate at the Centre for Economic Performance. Professor Ronald P. Dore, CBE FBA died on 14 November 2018 in Italy, at the age of 93. Ron Dore was an outstanding British sociologist who applied his sprightly intellect seamlessly across a broad range of topics. His distinguished career, evident from his fellowship of the British Academy, the Japan Academy, and the American Academy of Arts and Sciences, was marked by breadth of scholarship and a deep interest in societal reform. Ron Dore was at ease crossing boundaries, with his infectious curiosity and sense of humour. First and foremost, he was a Japanologist, and knew an awful lot about Japan. He grew up in a working-class background in Poole, Dorset where his father was a locomotive driver. His encounter with Japan was accidental: in 1942, he was selected to be one of the ‘Dulwich Boys’ aged 17 to study Japanese, one of the languages the War Office deemed critical to the war effort. He studied the language at SOAS, returning to Dulwich college for regular studies in the afternoons. His first visit to Japan, aged 25 in 1950, launched an academic career at SOAS and University of British Columbia, when he used anthropological and sociological methods to study Education in Tokugawa Japan, City Life in 1950s Tokyo, and Land Reform in post-war Japan. In the 1960s and 1970s, when Japan attracted attention as a traditional society that succeeded in modernization, Dore at the London School of Economics and later Sussex became a comparative industrial sociologist, who posited the ‘late development’ and ‘reverse convergence’ theses – rather than Japan catching up with the West, some features of Japan as a late developer may be worthy of emulation by the West — through his classic book British Factory – Japanese Factory. He was also, at one stage, an education specialist who, as part of an ILO mission, investigated the education systems in Japan and other developing countries; his interest in education and training led to a pathbreaking book The Diploma Disease and studies on youth unemployment and training. Increasingly concerned about industrial decline and rising unemployment in Britain, he urged British policy makers and business leaders to ‘Take Japan Seriously’, articulating a philosophy of original virtue as a basis for better and fairer economic institutions. His policy prescriptions were wide-ranging, from incomes policy to youth training and industrial policy, to mention a few. He was one of the pioneers of ‘varieties of capitalism’ thinking, stimulated by spells at Harvard and MIT, which he summed up in Stock Market Capitalism–Welfare Capitalism. In contrast to the Company Law Model adopted in Britain and the US, the Community Model in Japan had the added benefits of improving dynamic efficiency, and inculcating a sense of fairness. To his increasing alarm, however, the ideological tide of Reagan-Thatcher neo-liberalism spilled out of its Anglophone strongholds, and began to sweep into Japan itself. Championed by ‘second generation middle class’ urbanites and returnees educated in the US, Japan’s community firms started to implement shareholder-favouring reforms, and financialization started to take root. He wrote many books in Japanese, expressing increasing frustration by this turn. And he moved to Italy, where he felt an affinity to political economists less influenced by neo-liberalism, and to its civic communitarianism. Along with the breadth of scholarship goes disciplinary openness that underpins his work. Openness is not just about disdain of academic tribalism; it is more a mindset and a firm belief about the role of social sciences, which is to understand human motivation and behaviour in order to improve society. Ron Dore refused to lead a double life of some academics, of endlessly refining theories based on the pursuit of self-interest, while living social lives belieing those theories. Most of all, he was driven by curiosity, and an appetite to dig deeper into the real world to understand human behaviour and its moral, cultural, and economic bases. Throughout his life, Ron Dore made an extremely valuable contribution in furthering the understanding of Japan in the UK and elsewhere. He remained fiercely energetic and engaging, and was generous in spirit. He is survived by his wife Maria and their son Julian, and two children from his first marriage, Johnny and Sally. We extend our deepest condolences to his family. We will surely miss an academic genius and indefatigable giant in the academia. My condolence goes to Ron’s family and colleagues! Ron was one of the deepest thinkers I have met in academic life. Any conversation with him brought a new and important insight. He was an extraordinary man of outstanding originality . And a wonderfully decent man. It was a privilege to have known him. Please convey our condolences to his family. From Nick Stern , professor of economics at LSE , and president of British Academy, 2013-2017. A brilliant man who, at one point, seemed to be the only social scientist in the UK who knew anything useful about Japan. He was very generous and the epitome of a scholar. I gave him a draft of something on Nigerian industrial relations and he gently steered me away from my naïve starting points. 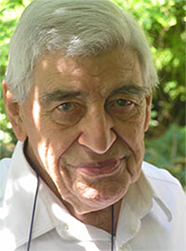 Robin Cohen, Professor Emeritus, U. of Oxford. * Institutionally, Ron Dore pioneered and pretty much invented serious social science research on East Asia as an academic field in the UK. Hitherto arts and humanities were almost all there was in E Asian studies. Not unrelatedly, he also helped mould the then fledgling subject of development studies. * Personally, he was kind and encouraging when I was just starting out. I do hope all older academics behave thus towards their younger peers!